March Madness!!!! Day 10 - Prompt: meditatesteemCreated with Sketch. If you don't know what March Madness is - don't worry, just start writing!! This is what we are doing - we are writing a novel in one month. A daily prompt is guiding you along - but - here is the big secret - if you don't want to use it, no worries. You can either post what you wrote or not. See, we have lots of rules!!! Like none. But wait - there is one rule. Record your word count for the day. The goal is 50,000 by the end of the month. That is roughly 1600 per day. If you want to win - you have to submit the word count. If you don't care about the sweet, sweet SBI, just write and that is it. 20 SBI donated by @kaelci! You can be a sponsor as well!!! We know that some of you are not going to want to write a novel - but you might want to read one. Once again, we will have an incentive to the fans. Choose one or more writers to follow and when you leave a comment, make sure to use the #mmfan. That way (and it really is the only way) we can find you and give you some sweet rewards. Let me know if you like to join - open to all. 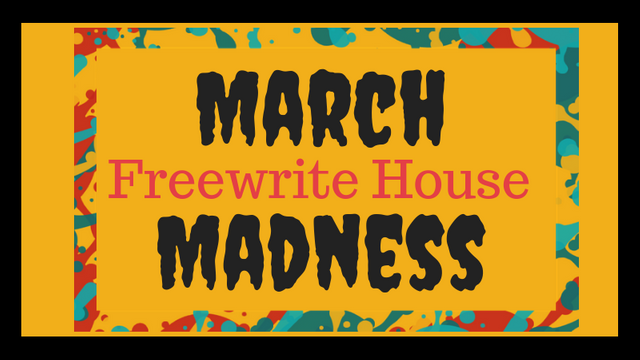 Other very cool Freewrite House events you can participate in. 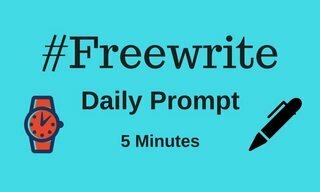 Make sure to Join the 5-Minute Freewrite Daily Prompt found @mariannewest. Another fun session! Each day the word count gets a little easier. I was shocked by the end when I had enough. Finding it hard to keep up now. This is my 7th posting and I'm far short of the 1600 words per day target, but hey, at least I'm having fun, right? At least, I think I'm still having fun. March Madness is playing with my mind!